Many people forget that acne treatment doesn't begin with expensive products; it is first necessary to fulfil a few basics. 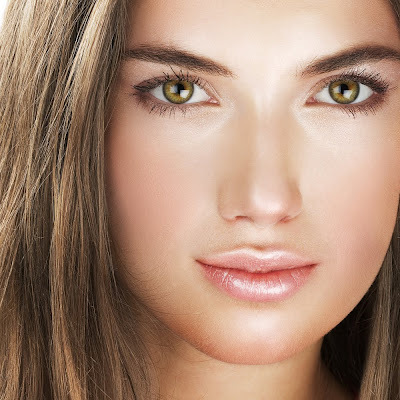 Here are a some tips which should help clear your skin of acne. First of all to achieve clear skin a healthy life style is essential. Regular exercise will help rid your skin of acne and prevent further breakouts. Drinking lots of water, around 8 cups a day, will greatly improve the condition of your skin. Also be sure to wash your skin carefully after exercising, your pores will be open after a workout and vulnerable to dirt. You can purchase various cleansing lotions, wipes, toners, moisturisers, facial scrubs and antibacterial soaps which will all help to keep your skin clean and acne free. Make sure that they are suited to your skin type e.g. sensitive skin or dry skin. Make sure you wash your face twice a day. Splash cold water on your face for about ten seconds in the morning then pat it dry with a clean washcloth. This will help stimulate blood flow which is good for the skin. Then hold your face above steaming water to open up your pores. Then you should wash your face with a cleanser and apply moisturiser. You can repeat this routine before going to bed. Women should be sure to take off their make up before sleeping and carefully wash their face after removing it. You should also sleep with your hair tied back to avoid getting oils on your face. It is also important to regularly change your pillow cases. You can treat pimples using acne products that contains salicylic acid or benzoyl peroxide. 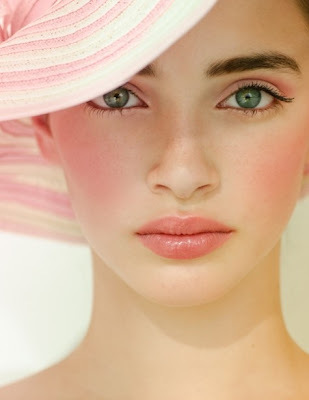 The cream should help reduce redness and a concealer stick can be used to cover any remaining inflammation up. Another option is try mixing backing soda with water and applying it with a Q-tip to the pimple. This will dry out your zit and reduce redness but be sure to apply moisturiser afterwards. Don’t pick at spots or squeeze them, it is best to leave them alone. If you gently squeeze your zit after washing then the pus will come out and unclog the pore. After doing this apply a cream containing benzoyl peroxide which will prevent the zit returning. In general it is best not to touch your face, the oils from your hands will clog your pores and it is likely to spread bacteria which will cause further acne breatkouts. Also be careful about what makeup you wear. Some makeup will contain oil that is likely to block your facial pores. Try and choose makeup which is labelled 'oil-free' or 'non-comedogenic', these shouldn't block your pores and will help prevent blackheads and pimples appearing. If you feel that you have a real problem with recurring pimples then it can help to keep a journal of when you get them. If you note down what you’ve been eating, what you’ve been applying to your skin and any other factors you feel may be affecting your acne then you may be able to spot a pattern and identify anything which is causing problems and leading to pimples. It is good to have a routine, exfoliating once a week is good for normal skin and twice a week if your skin is oily. This will help keep your skin fresh, remove dead skin cells which block the pores and reduce blackheads and pimples. It is also a good idea to use a facemask once a month. You can exfoliate by mixing a table spoon of sugar with a table spoon of olive oil and rubbing it on your face. If you follow these steps there should be a noticeable improvement in a few weeks. If not then consult a dermatologist who will be able to prescribe you something stronger.Nutrition plays a major role in how your skin looks. Avoid processed foods high in sugar and fat. Sugar promotes oil production and provides food for facial bacteria to grow on, while saturated and hydrogenated fats are harder to digest and contribute to skin inflammation. If you suffer from acne, eat a diet high in unprocessed foods. Dark leafy-green vegetables contain important antioxidants for maintaining and repairing skin, and foods high in healthful fats and omega-3 fatty acids such as cold-water fish, nuts and seeds can reduce skin inflammation. Instead of caffeinated beverages, which can irritate the skin, drink plenty of water to help flush toxins out of your body.Vitamin A can reduce production of sebum, an oily skin lubricant that can clog pores, and keratin, a protective protein that covers the skin. Higher dosages of this vitamin are necessary to be effective as an acne treatment, but high dosages can lead to other unpleasant side effects such as bone deterioration. Combining lower dosages of Vitamin A with another skin-promoting nutrient such as vitamin E or zinc can alleviate this problem. Zinc reduces the buildup of DHT (dihydrotestosterone), which can cause acne. Take 50 mg of zinc (not zinc sulfate, which is harder to absorb) twice daily for three months, then lower the dosage to 50 mg once daily.